Imagine if your favorite rockstars hadn’t died. Would you pay to see them play? Would you wait after the show for them to sign your autograph? Would you love them if they changed? Would you love them even if they turned… into women? Today, we see classic legends in a unique new light. I recently took a road trip down to Nashville to see three really pretty and unique women for a photoshoot. Our original concept was torn down… No literally, the venue we were shooting at got torn down! Originally, they were going for this spice girls themed shoot. We were two girls short and I was a hairline short from having to be ginger spice. So we’re sitting here: three models, three children, myself, a boyfriend, and an assistant. We were convinced there was no hope when it hit me..
What if they were dead? 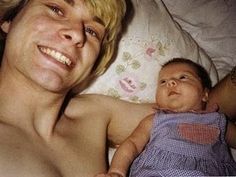 I’m a sucker for baby pictures of Frances Bean, because Kurt genuinely looked happy. So imagine if Kurt Cobain was a girl and she was just chilling in the park with her daughter when a camera caught her. Bob Marley was actually alive for the rasta craze. He was now a woman who traded her dreads in for a natural hair look. She was caught by a photographer as she wandered around and took in nature. So what if… John Lennon after quitting the Beatles and trying to go solo ended up getting into rap music? Hahaha. I love the Beatles so this one’s a little hard for me but just.. imagine. altogether, they are Classic Legends. I didn’t have to be a spice girl. Want me to travel to you for a shoot? Feel free to book a session with me or subscribe to the blog to see more awesome!